TORONTO, ON--(Marketwired - Oct 10, 2013) - Marketwired's Vice President of Global Partners and Media Solutions Bernadette Lee was recognized by the UN Women National Committee Canada for her Contribution to Excellence in News Communications. One of the most prestigious honors the organization can bestow, this recognition celebrates an individual who has contributed to advancing women's rights and achieving gender equality both in Canada and across the world. Through her work with Radio Television Digital News Association (RTDNA) Canada, an association of news managers and electronic journalists, Lee volunteers with journalists at all stages of their careers. At Marketwired, Lee directs the global media relations team in developing and maintaining strategic relationships with media partners, including news agencies, financial content providers and regulators. She was also instrumental in helping Marketwired create new data delivery models and evolve to become the largest news disseminator in Canada. 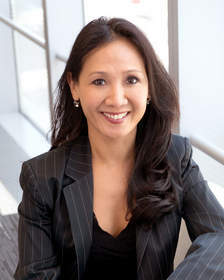 "I am proud to be with a company and in a position that allows me to make a difference and look for opportunities to give back," Lee said, "whether that's using traditional communication channels to create awareness and acceptance of women's causes or volunteering to assist female journalists getting started in the industry to network, grow and help each other achieve success." "Bernadette's exceptional contributions to communications and commitment to the empowerment of women are unmatched. Bernadette not only strives to make a difference within the community, but for womankind across borders. Each day Bernadette challenges conventional stereotypes that are too often placed upon women. She embodies the values of UN Women National Committee Canada and it is with great honor that I present her with the 2013 UN Women National Committee of Canada's recognition for her contribution to Excellence in News Communication," said Almas Jiwani, President of UN Women National Committee Canada. Lee was one of six candidates recognized at this year's UN Women Canada Gala, where she also spoke about her commitment to empowering women and giving back. More information about UN Women National Committee Canada's recognitions and past recipients is available here. Marketwired is majority-owned by OMERS Private Equity (www.omerspe.com).